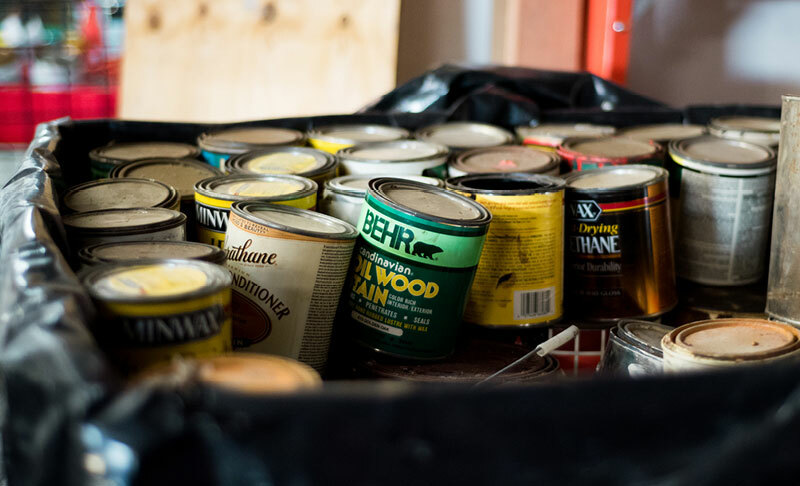 Many paint cans are stowed away and never used. Have your hazardous waste professionally removed and disposed of with a click of a button. We remove a wide variety of materials from several categories listed below. Book your appointment now, and have a safe, economically friendly and toxic-free home or workplace by the end of today. We remove batteries of any shape, form or size. Battery types include standard household batteries, car batteries, watch batteries and many more. 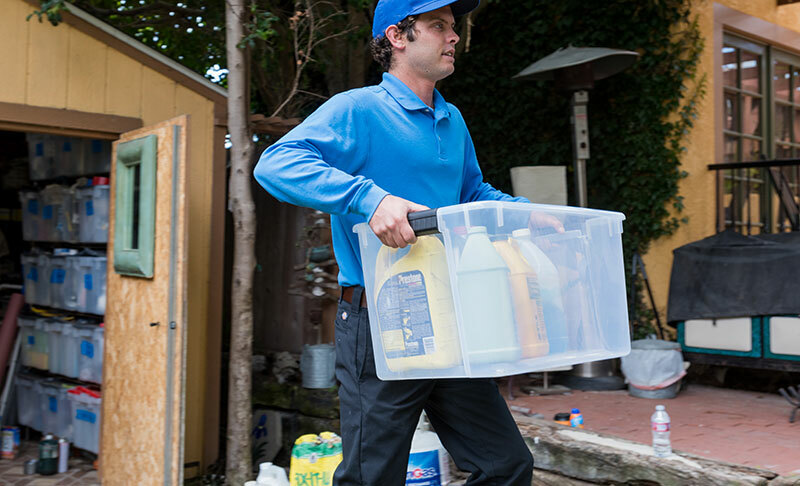 Haz Away Today removes a wide array of pesticides, including insect repellants, lawn care products, weed removal products, tree care treatments, etc. We remove a variety of household cleaners including bleach products, glass cleaner, multi-surface cleaner, ammonia, toilet cleaners, soaps and many more. Haz Away Today removes several types of aerosols. Examples include spray paint, shaving cream, bug spray, WD-40, etc. 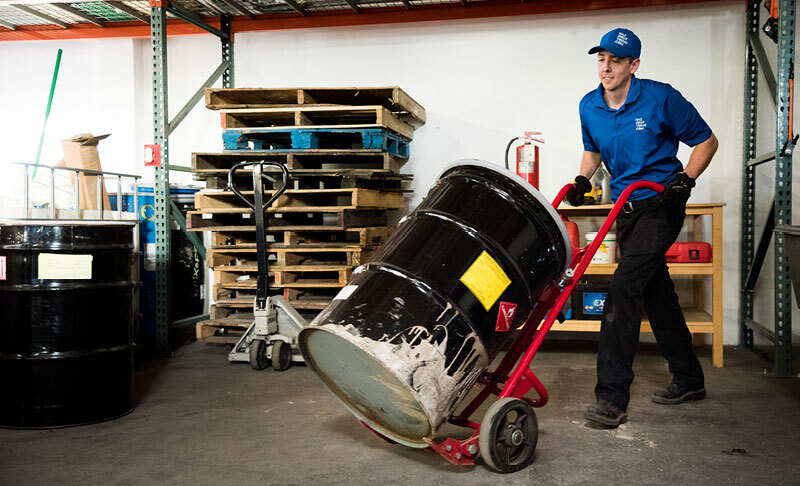 We remove a number of paint products, such as buckets of unused paint, spray paint, artistic paints, paint thinner and more. 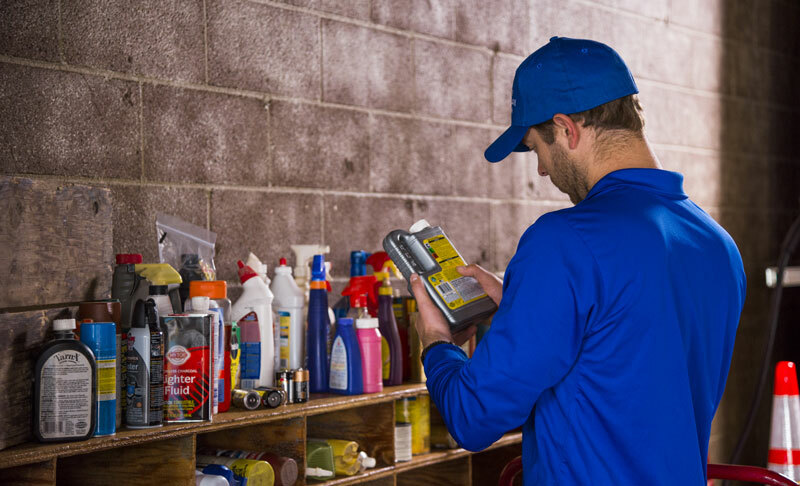 Haz Away Today removes automotive products, including motor oil, brake fluid, brake dust sprays, antifreeze, transmission fluid, alternator fluid, etc. 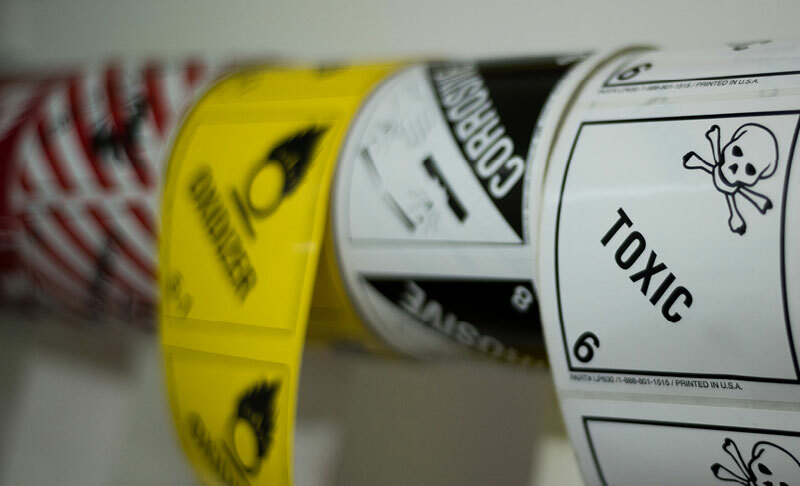 We remove a variety of flammable products. Examples include propane tanks, paint thinner, motor oil, nail polish remover and several others. Haz Away Today is willing to remove unknown products or substances. We will test materials on site and assess what they are before removing them from your location. Examples may include pharmaceuticals, unlabeled containers/liquids, electronics, mercury waste and more. Call us or email us today with a detailed description of your miscellaneous materials, so we can further assist you. Non-toxic – This item will not cause immediate poisoning. AP – This is an approved product which does not contain sufficient quantities of a material to be toxic or harmful to the body, even if eaten or swallowed. CP – This is a certified product that meets AP standards as well as standards for product quality, color, etc. Corrosive - A chemical substance (solid, liquid or gas) that can cause destructive damage to body tissues at the site of contact. It can cause severe burns to the skin and can "eat through" clothing, metal and other materials. Examples include hydrochloric acid, sodium hydroxide, Drain Cleaner, acidic toilet cleaner, caustic paint stripper, epoxy resins and car batteries. Flammable – A chemical substance that may be ignited at almost any temperature. It may also spontaneously react with oxides. Gasoline, acetone, plastic glue, flammable solvents, nail polish remover, paint thinner, stains & finishes, kerosene and lighter fluid are examples of flammables. Irritant - A chemical substance that may cause soreness or inflammation of the skin, eyes, mucous membranes and/or respiratory system. Oxidizer - An unstable chemical substance that can spontaneously react with flammables and releases oxygen. Examples include calcium hypochlorite (bleach), hydrogen peroxide and pool chlorine tabs. Toxic – A chemical substance that may cause injury or death upon ingestion (eating/drinking), absorption (touching) or inhalation (breathing into lungs). Pesticides, methylene chloride, insecticides, flea repellants and shampoos, rodent bait are examples of toxins.